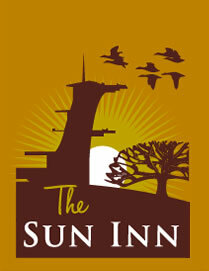 With our large garden and inviting playground, The Sun Inn is a real family favourite - especially in the summer. Parents can sit back and relax while the children run around on our large lawn, or entertain themselves on the slide and swings. Our thatched summer house is also perfect when the sun's at its brightest and you'd prefer to sit in the shade.